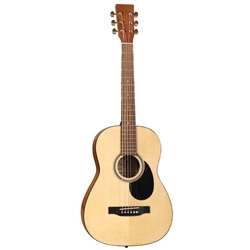 Fun-to-play guitar offers great acoustic features and playability in a 36"?instrument. Zero fret. Adjustable bridge. Natural finish. Steel Strings. Includes FREE Bag!